The daughter of an architect and an interior designer, Marianne Strengell placed utmost value on the functional application of the art of weaving. 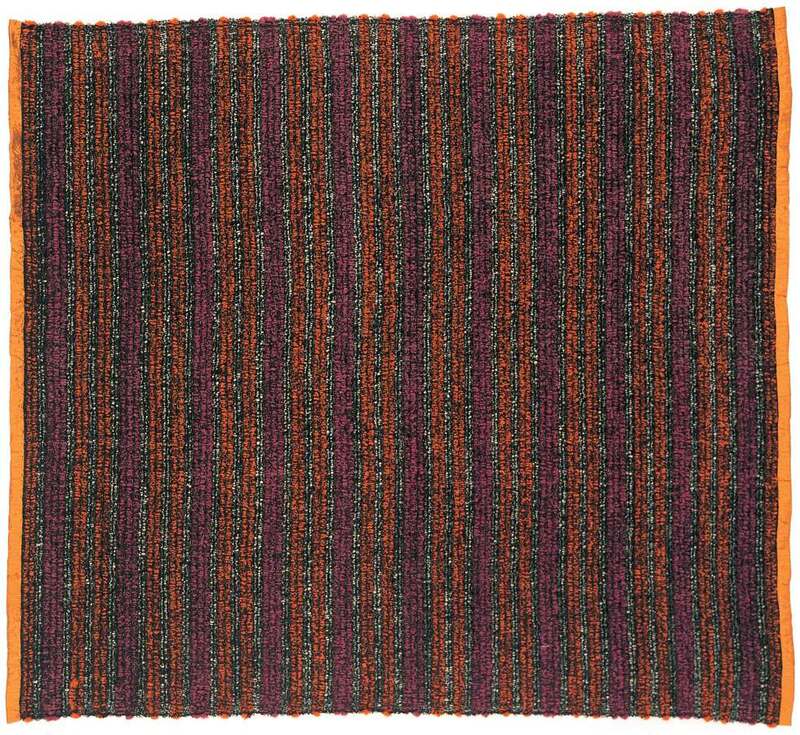 After she began teaching at Cranbrook Academy of Art in 1937, pictorial weaving was completely displaced by design for production. Her progressive instruction stressed both the technical and professional aspects of the craft, from yarn dying to merchandising and client relations. Shortly after Strengell inherited the directorship of the Department of Weaving from Loja Saarinen in 1942, a powerloom was installed in the studios, allowing students to better accommodate design for industrial manufacture, an application further promoted through class trips to local factories. The close proximity of the automotive and furniture industries provided numerous professional opportunities for Strengell. She created exquisite prototypes for upholstery, rugs, drapery, and other household fabrics for numerous manufacturers, often integrating synthetic fibers and new screenprinting techniques developed during the war years. As an artist and teacher, Strengell promoted greater aesthetic consideration in modern textile design, imbuing products of mass manufacture with the formal and material beauty of the hand-crafted object.